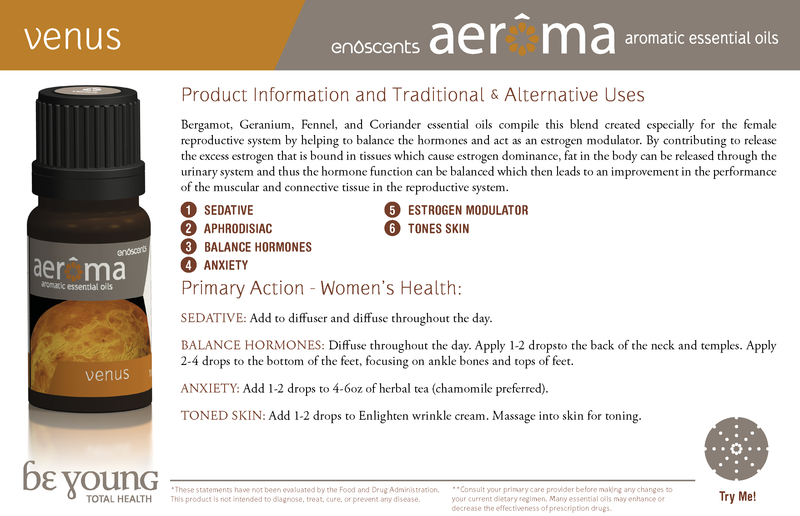 Venus™ blend was expertly blended to balance mind, body, and spirit of women. The aroma of Venus™ provides an overall calming and grounding feeling while exhibiting increased intimacy. Perfect for the days when feelings of inappropriate aggression, anger, or emotional tenseness are prevalent.